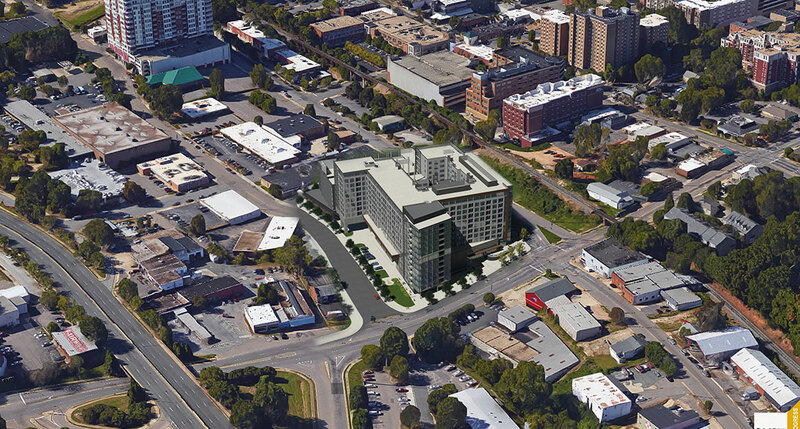 RALEIGH – Kane Realty and a partner have acquired a 1.24-acre site at the northern edge of downtown Raleigh, near the intersection of Peace and West streets. Kane Realty and Williams Realty & Building Co. paid $4.6 million for the property, which borders both West and Harrington streets, according to Wake County property records. The site is now home to ThemeWorks and the Southland Ballroom music venue. John Kane, Kane Realty’s CEO, said in an email that Kane Realty and Williams have formed a joint venture to invest in the property at 600 N. West Street. “At this time there is no further information to share,” he said. Raleigh-based Williams Realty, through two separate entities – Chaucer Investments and The Crossland Company – already owns four other nearby parcels totaling 2.44 acres. Kane Realty, the developer behind North Hills, also controls a sizable track of land in downtown’s warehouse district. In December, Kane Realty and its partner, Federal Capital Partners, paid $13.875 million for a 2.5-acre site between S. West Street and S. Harrington Street. That site is to become The Dillon, a $150 million project that will include a 17-story office tower directly across W. Martin Street from CAM Raleigh; a 1,000-space parking deck and two six-story apartment buildings on the north and south sides of W. Hargett Street. Kane Realty’s 1.24-acre site is just a few blocks north of the West condominiums in an area that is increasingly being targeted for redevelopment. Last year, another Raleigh developer, The Lundy Group, purchased the building at 500 W. Peace St., which it is now renovating. The price Kane Realty paid is also another indication of the rising cost of land in downtown, which is causing many long-time property owners to put their property up for sale.